These are some of the questions commonly asked by property owners who want to become landlords. This is a good start, but if you have any additional questions or would like to meet with us, please fill out the form following the questions, or give us a call. Q: Do I pay anything up front? Do I owe anything for advertising? A: No there are no upfront costs. 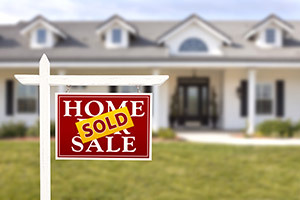 We pay all costs associated with marketing of your Denver property. It really does work the same way as listing your home for sale. We don’t get the job done – we don’t get paid. Q: How will you advertise my Property? A: In this day and age, most renters look for housing online. We have very strong on line presence: our website, Zillow, Trulia and many others. We are also able to advertise on Denver Metro MLS system for Realtors, which in turn feeds into the popular realtor.com site. We will also place a sign in the yard/window. We have mastered the social media advertising, and we market to our followers and our sphere. Lastly, we send out paper and e-fliers to real estate agents in the area. Q: How long does it take to fill a property with qualified tenants? A: Our property management team in Denver, CO is known for providing our owners with quick results and quality tenants. On average it takes from 1 to 30 days to get the property rented. However, it depends on many factors such as seasonality, proper pricing, condition, and location. When we meet for the initial interview, our Realtors will be able to advise you on how to make your home more appealing to renters. Q: Is there a long-term contract? Does the management agreement run concurrent with the lease? What are the penalties to terminate the contract? A: We do sign an initial 1 year agreement, however we believe that if a relationship is not working out, there’s no reason to stay in it. If you are not 100% happy, you can terminate the agreement any time, for any reason. That’s not something our property management competition in the Denver area does, but that is what makes us work harder for you. Q: Do you offer leasing only service? A: We have leasing only service as well as full management. For leasing only service we will advertise your property, do the showings, screen the tenant, sign the lease, collect deposit and first month rent, do the move in inspection and then we will turn them over for management to you. You can always call us for advice while you are managing the property yourself. Q: Do I get a say in who my tenant is or other terms of the lease? A: Absolutely! It is your property after all. We will perform a market analysis for your property and make recommendations on the price, deposits, length of the lease and other terms, but you get the final say. The same goes for the tenant selection. We will conduct a thorough background search and present the results along with our recommendations to you, but you make the final call. Now how many of our competitors in the Denver area can say that? Q: Who holds tenant’s security deposit? A: We do. All deposits are held in our trust account as mandated by Colorado Real Estate Commission. We prepare a detailed statement for the tenants upon move out and account for all/any charges. Q: When will I get my proceeds each month? A: Our goal is to pay by the 10th of each month or sooner. This depends on when the rent clears with the bank and whether we have any bills to pay. Since we provide free service to our tenants to pay their rent online and we deposit your money directly into your account, our turn around time for payments is much quicker than that of our competitors. Q: Do you visit my property regularly? A: Yes. We visit the tenants at least every 6 months. We make sure they don’t have pets they didn’t claim on the lease, we make sure they are not smoking in your property, that they take good care of it, and that they are complying with all the rules and laws. Unlike most of our competitors in the Denver area, we do not charge for this and strongly believe it is part of managing. We will do additional visits if requested. We also tell homeowners to pass our cards to the neighbors and have them call us if they notice anything out of the ordinary. Additionally, every time there’s a repair request, all of our contractors are trained to report back to us on the condition of the home. So there are several sets of eyes on your property. Q: How do repairs work? A: We have a wide variety of tested and trusted contractors. We do not up charge for maintenance, or get any kick backs from our contractors, unlike most property management companies in Denver, CO. We believe in delivering the best value to you. In most cases we get discounts on volume and we pass those savings on to you. A tenant can call us with a repair request or submit a repair request through our tenant portal. We are also able to receive emergency calls 24 hours a day. No more sleepless nights for you. If the repair doesn’t exceed $250, we will authorize our contractor to take care of it on the spot. We try to keep the owners informed, and most times you will get a notification of a needed repair immediately, not after the fact it was done. In case of emergency, we will get a contractor to come out as soon as possible and will notify you just as soon as we can. A: We are very strict with our tenants. Tenants have 3-day grace period to pay the rent. If rent is not paid by the 4th of each month, we initiate a call and a 3 day notice. We are very diligent at collecting rent payments and enforcing the rules. Q: What if I have to evict my tenant? A: Unfortunately this does happen sometimes. We offer additional eviction insurance to our landlords at a small cost. If you don’t choose that option, we will post all the initial paperwork at no additional cost to you, and will turn it over to our attorneys at which point there will be a charge from the attorney. Depending on the county, evictions can take from 30 to 60 days and can cost on average $2000-3000, in very rare cases, the cost can go up to $5,000 or more. Q: What if my tenant smokes in my property? A: Our lease expressly prohibits smoking. If, during our semi annual inspection, we notice any smoke odors, we will have another party come in to confirm the fact, we will start the dialogue with the tenant and will inform them that it is a lease violation and they can be evicted if they don’t stop smoking on premises. We will do several follow up visits to ensure compliance; and proceed with eviction if needed. Tenant’s deposit can be used to remedy the odor. A: Let’s just say that on average 85% of renters have pets. It is up to you whether you allow it or not, but you will open your property up to a lot more potential and qualified tenants if you do allow pets. We collect small additional pet deposit and have the tenants sign the lease stating that their entire deposit (not just the pet portion) is at stake. We understand your concern in this area, and will do our best to match the right tenant for your needs. Q: Do I get monthly accounting? A: Yes, we have very user-friendly owner portals and also send out monthly and yearly statements. Any other questions? Just fill out the form below or give us a call. Our goal as your Denver property management company is to keep your property in excellent shape, provide steady flow of income and relieve you of the hassle of being a landlord.